VW's test stand had tight security rules that prevented access even to high level managers, sources said. FRANKFURT -- Volkswagen Group operated a secret site at its sprawling headquarters to test the diesel technology at the heart of the emissions-cheating scandal, reflecting the lengths those involved went to conceal their actions, people familiar with the matter said. 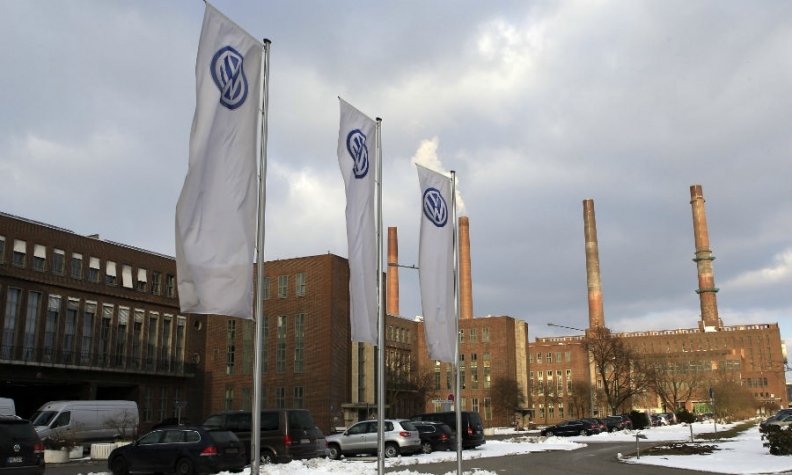 Some engineers used the research facility in Wolfsburg, Germany, to upload the software that manipulated regulatory emissions checks, one of the people said. The test stand, just a stone’s throw away from the main office tower where top executives sit, had unusually tight security rules that prevented access to those not involved in the project, including high-level employees who could enter all other development sites, another person said. The people spoke on condition of anonymity. Volkswagen declined to comment on internal facilities and findings into investigations into the roots of the manipulations. While Volkswagen has said the manipulation was restricted to a small group of rogue engineers, the existence of a dedicated test site, which hasn’t been previously reported, shows that that work occurred in close proximity to the offices of top executives and raises fresh questions about what management knew about the illicit conduct. Former and current senior executives have denied allegations that they were aware of large-scale cheating. Volkswagen admitted in September 2015 that it had rigged pollution controls on some diesel engines to operate only during regulatory testing and shut off during normal driving. About 11 million vehicles worldwide were affected, and provisions for costs related to penalties and vehicle repairs amount to 22.6 billion euros ($26.7 billion) so far. The roots of the cheating date back to 2006, according to a plea agreement VW signed with U.S. authorities in January. Engineers struggled at the time to develop a diesel engine that could meet stricter U.S. emissions standards without jeopardizing performance. Criminal investigations are still underway, and VW faces a barrage of lawsuits from disgruntled investors and customers. The U.S. District Court in Detroit sentenced James Liang to 40 months in prison on Friday. He was first VW employee charged in the scandal and pleaded guilty to conspiring to defraud customers and regulators. The unusual security arrangements at the site were in effect from at least 2006 through 2008, sources said. The diesel engines that were equipped with the software were fitted in cars from model years 2009 to 2015. While especially tight security measures over several years at an engine-development facility might support VW’s claim that the manipulation was restricted to a small group, there are doubts about the official version. In the U.S. plea agreement, the manufacturer stated that 40 employees at its VW and Audi brands deleted thousands of documents right after U.S. authorities uncovered the illegal engine software. VW was able to recover most of these files.